It’s been three days since the shooting in Newtown, Connecticut, and I still can’t wrap my mind around the horrors that happened there. I spent Friday morning helping in the Sunnyside Christian preschool, making secret presents for mom and dad, and laughing at the silliness of those kids as the snow fell. When I returned to my office, I heard the news. I continued to hear the news all day. My heart grew heavier and heavier for the loss of innocent children. Sunday morning, I went to church with my family. We sent our kids up the stairs to their classroom and joined the adults in ours. Our assistant pastor was leading our discussion, and I’m always grateful for his fresh way with words. He too, was struggling with the questions that arise from a tragedy. Where is God? Why does He allow these things to happen? Are there really answers to these questions? We read aloud words from the Bible, from Deuteronomy, Romans and 1 Thessalonians. We compared ourselves to the early churches and Christians. As we discussed, I found comfort in the responses from my fellow Christians. Later, I sat with my husband in the wooden pew, watching our twins sing “Joy to the World” with the children’s choir. Ashton was singing heartily, but Addison was more interested in waving to her Grandma. My heart swelled with pride and also with hurt for the families mourning their lost children and their lost voices. Could joy really come to our world? 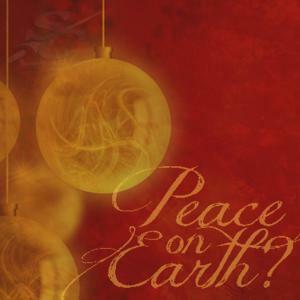 During our time of praise and worship, we sang one of my favorite non-traditional Christmas songs, “I Heard the Bells on Christmas Day.” This song plays on our car CD player quite frequently during the year, even when it’s not Christmastime. And those words, lyrics that I’ve sung so many times, struck a new chord with me yesterday. That feels good, right? It sounds like all is right with the world. The feelings of happiness and excitement and peace seem to synonomously with Christmas, this "special time of year." And this is what it feels like when tragedy strikes. In despair we bow our heads in the realization that evil is in our world. The acts of hate mock the songs that call for peace on earth. Does anybody hear the bells anymore? And here is our comfort: our God is not dead. He does not sleep. He will prevail with peace on earth, good will to men. We pray that God’s peace will ring in your hearts this Christmas and into the New Year. And we ask that you pray for our school, our students, our teachers, our parents and our supporters. Ask that God will reign in our school and in our students. Ask that God will put peace in our hearts. And ask that God will bless our school, our city, our state, our country and our world. I truly loved this post. It becomes so clear in the time of trial that God uses us to fulfill his wishes that we always know that God is there when heartache occurs. Thank You for the post. Beautiful words. What is the SCS Foundation? Have you checked your mailbox lately? Tucked in amidst the cute Christmas cards, obnoxious credit card offers, and toy ads, is a letter from the Sunnyside Christian School Foundation. If it’s not there, it’ll be there soon! We’d like you to consider making a donation to the Foundation this year, but we realize some of you may not even know the Foundation exists or what it does. You know that small building that sits between Mr. Dykstra’s house and the market? That’s the Foundation office. That’s where I work, and I invite you to drop in anytime! Gas cost 15 cents per gallon. A loaf of bread cost 13 cents. The Central Intelligence Agency (CIA) was established. Jackie Robinson took to the field for the Brooklyn Dodgers becoming the first African American to play in Major league baseball. Since then, Sunnyside Christian School hallways have been full of students learning about our world with a Christian perspective. Our alumni are found all over the United States doing a wide variety of jobs and serving the Lord in wonderful ways. It’s our goal that in another 65 years and beyond, Sunnyside Christian School is still educating. The SCS Foundation manages an endowment, which is a large savings account invested through the Barnabas Foundation. As donors continue to give to the endowment, the invested monies continue to mature into a larger nest egg. Occasionally, the endowment is used for projects to better Sunnyside Christian School. The endowment was used to purchase the Thrift Store building. Also, the lighting throughout SCS was updated last year with funds from the endowment. If there is ever a need that the SCS general fund cannot meet, the endowment is there to help. Additionally, the Foundation generates money for scholarships. 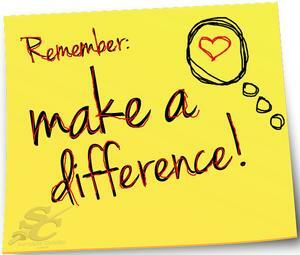 For the 2012-2013 school year, the Foundation gave nearly $20,000 for families who could not meet tuition costs. But this is what makes it interesting: the money you donate is not spent; it is invested! When you donate to the Foundation, only the interest made endowment and scholarships is spent. The money you donate to the Foundation today will still be generating money 10 years from now! Now that’s a decent return on your investment! So we encourage you to dig through your mail and make a donation to the Foundation. Or, even easier, you can donate online by setting up a monthly or one-time gift! Please let us know if you’d like your money to grow our endowment or to support our scholarship funds. 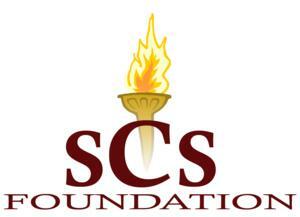 For more information about the SCS Foundation, please visit our website by clicking this link. On November 26, the entire student body (in several different settings) enjoyed the opportunity to hear and observe a presentation by Mr. Joel Van Dyke, a missionary living and working in Guatemala. At the high school Mr. Van Dyke walked the students through a visual presentation of the created beauty (numerous pictures/stories of incredibly scenic landscape), a brief history (of both inhabitants and government), and the extreme challenges of poverty that face a segment of the population in this small country. Early in the interaction, Mr. Van Dyke recalled how God had, through life experiences, changed his high school and college self-centered goals and dreams into an attitude of service and commitment to assisting those who are poor and overlooked. Eventually this missionary landed in Guatemala and began working, as one part of this ministry, with incarcerated gang members of whom he shared photographs and related extraordinary stories. As the presentation unfolded, Mr. Van Dyke issued a number of challenges to the SCHS student body. First, he challenged the students to not participate in just “mission” trips but instead to pursue “vision” trips where the participant understands that he/she does not just go on a trip, return, and end the trip but instead has an experience that extends the vision of the participant to see the constant need and causes that person to continue to act on those needs on a consistent basis. Second, he passionately called the young people in the audience to genuinely show compassion, kindness, and friendship to all members of the student body, to search for not only the hurting and lonely but also those outside their social groups and spend time getting to know, interact, and care for them. Mr. Van Dyke recalled numerous high school experiences that he wished he could redo, and this time offer concern and friendship. With passion, he begged SCHS high school students not to make the same mistakes he now regrets. This chapel presentation again reminded us of the opportunities God has given us, of God’s blessings we assume, and of the incredible differences small acts of love, kindness, and compassion can make on those we daily see but often do not take the opportunity to know or encourage.